For the leasing market new upgraded vehicles are been released all the time by the manufacturers onto the market for 2014. So far this year we have seen the release of the Opel Insignia 2.0 CDTI. Below Jensen Fleet Solutions gives our expert opinion on the new release. We start at the engine of the car and the engineers have been busy introducing one new diesel and two new petrol engines. The best of which is the new 2.0 litre Diesel Engine with 140Hp which turns the Opel Insignia into one of the most efficient engines on the Leasing market. Inside the vehicle there has been a major overhaul with the centre console changing completely. The new sleeker console has reduced the number of buttons & a new touchscreen system makes it a more user friendly vehicle. The system allows you to control the sat nav, radio, media and voice control including others. The handling of the Insignia has also improved dramatically it corners well and has a good umhp to the steering and generally feels very good to drive. Jensen Fleet staff test drove these new Opel Insignia on two exclusive tracks in Austria and confirmed that the vehicle has an incredibly high level or performance and specification as standard. For as little as €450 per month your company could lease one of the new ranges of Opel Insignia. For the leasing market new upgraded vehicles are been released all the time by the manufacturers onto the market for 2014. So far this year we have seen the release of the Ford Transit Connect. Below Jensen Fleet Solutions gives our expert opinion on the new release. The new Ford Transit connect takes a proper leap forward. The exterior styling incorporates influences from Ford latest global design language. The new van operates class leading fuel economy, load carrying ability and durability. Ford has taken the toughness and dependability of the current Transit Connect, made considerable improvements to the fuel efficiency, added smart new load space features, and delivered a dynamic new style,” said Barb Samardzich, vice president Product Development, Ford of Europe. “The all-new Transit Connect sets new standards for compact vans and provides the perfect partner for a wide range of businesses. The new model offers a stylist and extremely spacious cockpit with smart storage solutions it’s also the first in its class to offer Active City stop designed to help drivers avoid low speed collisions. Ford has announced the all-new Ford Transit Connect will offer best-in-class fuel efficiency, with the Transit Connect ECOnetic model delivering 4.0 l/100 km (70.6 mpg) and CO2 emissions of 105 g/km – a 34 per cent improvement. The stylish all new Transit Connect has been engineered to set new standards for load carrying, cost of lease and dependability within its class. For as little as €300 per month your company could lease one the new Ford Connect. These days the HR Manager is a multi-tasked individual with limited time on their hands. From dealing with recruitment, benefits in kind & employment law it leaves little or no time to deal with the administration of their employees on the road needs. At Jensen Fleet we aim to take the hassle form the HR Manager by providing a full administration service with every leased vehicle. From start to finish Jensen Fleet will fully maintain each vehicle and administer all the related services. If a vehicle breaks down, Jensen Fleet are there to deal with the situation and make sure the drivers are back on the road with as little as possible down time. A HR Manager would also look at costs involved with running a fleet of lease vehicles, not just the Finance price but other such costs as Maintenance and Tax to give a full on the road cost to both the company and the employee. Jensen Fleet Solutions is proud to bring our new range of Dacia Dusters to the rental market. With their low rental prices and even lower running cost the Dacia Duster is 40% cheaper than its competitors in the market such as Nissan Qashqai and the Kia Sportage. The Dacia Duster runs at 60+ miles to the Gallon, and with a fantastic 3 years warranty is an option to all. As Dacia State they believe that “affordable shouldn’t mean compromise” and there range of cleverly designed cars have a simple formula of space and quality at an unbelievable price. The Dacia Duster is a clever design with proven Technologies to ensure the car is reliable, robust and affordable. Voted second in German to the Audi the Dacia is fast becoming a market leader with over 2 million vehicles sold across 36 counties. At Jensen Fleet Solutions Ltd we strive to get our customers the best rates on the market. With 2013 drawing to a close we have put together a Contract Hire Price Comparison of our top Sellers in 2013. Are Sales team are more than happy to talk you through these prices and do quotes for 2014. After the joy of the Olympics the world’s fastest man Usian Bolt has another honour to look forward to, this time on a very different track. Bought to Nissans headquarters Bolt was presented with the new GT-R Gold laced Nissan. In addition to its bright paint finish, this car features a number of gold elements inside its cabin including a special plaque embossed with Bolt’s signature. The Bolt Gold GT-R has already raised over $190,000 in online Auctions when 1 of the vehicles was sold over an eBay. All proceeds of the auction will go to benefit the Usain Bolt Foundation aimed at helping educational and cultural opportunities for children and young people in the athlete’s native Jamaica. The Nissan GT-R cars are based on the latest 2013 Nissan GT-R, which still features a twin-turbocharged 3.8-liter V-6 engine matched to a six-speed dual-clutch transmission and driving all four wheels. Peak output of the latest model is 545 horsepower and 463 pound-feet of torque. All we know at Jensen Fleet is that this is by far our dream car; if only we could figure out a way to lease this one out, we’re sure there would be a nice queue outside the door. Audi & BMW continue to be the front runners in the small executive lease market segment. There constantly improving the specifications and extras on the cars to make them more attractive to you the customer. There is an Olympian strength to the four interlocking rings on the Audi badge, you can be in doubt that you are Leasing a level of solidity not even the Japanese can beat. The Audi range is within the top 3 luxury carmakers all coming out of Germany. Its unique sell point along with its slogan is that Audi is the “Truth in Engineering”. 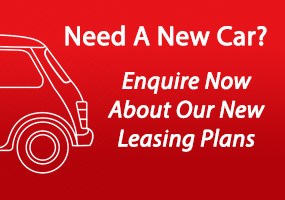 Leasing has many advantages one of the main ones being that you can replace your vehicle with a new one every 2-4 years depending on the contract you sign up too. One of the main reasons companies lease is that they do not hold any equity in the car, they return the vehicle after 2-4 years and all they have paid is a monthly finance cost over the contract period. There are little or no benefits to holding equity in your car as cars depreciate quickly and so the sell on price is greatly reduced. When you lease a vehicle or vehicles, your payment is made up of the cost of the vehicle at the start of the lease, less the value of the vehicle at the end of your contract. Mileage allowances will play a big part here as a vehicle that returns after 3 years with 100,000 Kilometres will be worth significantly more than a vehicle return after the same period with 250,000 Kilometres on the meter. The average mileage of company vehicles in Ireland is 60,000 Kilometres per annum. There is also VAT relief available for companies that lease their vehicles. Since the Finance Act of 2008, the Revenue provides that any accountable persons (i.e. the company) can deduct up to 20% of the VAT incurred in the respect of purchasing and hiring vehicles. Terms & Conditions apply. For companies who buy new cars every 2 to 3 years leasing will allow them to lower their payments or to drive a more expensive car with a monthly payment similar to a less-expensive car. Formed in 2012 Jensen Fleet Solutions is the concept of two Directors with over 20 years’ experience across the motor industry. Using our combined expertise and experience in the motor leasing industry we plan on growing our business from year to year to stay competitive in an ever changing industry. At Jensen Fleet Solutions we hope to become Ireland’s largest independent vehicle leasing, fleet management, rental and used car sales company. We are planning on using the vast experience to give a more tailor made package to our clients both corporate & private. Jensen Fleet Solutions, provides a host of services such as Vehicle Leasing, Car & Van Rental along with Fleet Management packages. We also have a fully integrated workshop where we carry out all repairs on our vehicles. Jensen Fleet Solutions prides itself on the availability of a variety of packages to suit our customer’s needs, whether it be to manage an existing fleet or to quote for new business, we are prepared to go the extra mile for our clientele.